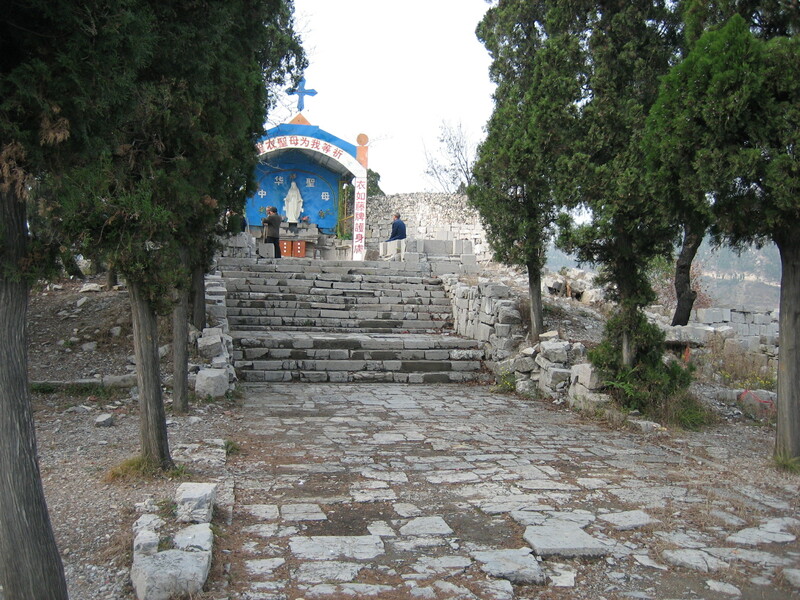 TIANJIAJING, China, JUNE 21, 2007 (Zenit.org ).- The sanctuary of Our Lady of Mount Carmel (picture) will be dynamited following a government decision that the pilgrimage site is a place of illegal religious activity. The Henan Province government will prevent the annual July 16 pilgrimage, which normally draws 40,000 pilgrims for the feast of Our Lady of Mount Carmel, AsiaNews reported. The shrine was built in 1903 by a priest from the Pontifical Institute for Foreign Missions, Monsignor Stefano Scarsella, then apostolic vicar to northern Henan. The shrine was meant to thank the Blessed Virgin for preserving Christians from the dangers of the Boxer Rebellion. The sanctuary lies in Tianjiajing, in the Diocese of Anyang, in a scenic, mountainous area that some speculate will be used for a commercial or government building. The provincial government has mobilized 700 soldiers for military exercises in the area since May 12, when the planned destruction was announced. Roads leading to the shrine are closed and pedestrians who go near the area are searched. The faithful of the Diocese of Anyang, appealing through AsiaNews, said: "We ask all our brothers and sisters in the Lord to pray for us and spread our message to all the faithful of the world." For the whole story in AsiaNews, and to see the picture, click here.